How to Develop Your Personality by Betsy Root, a collection of her newspaper columns from 1937, is available as an e-book and as a paperback from Amazon and Barnes & Noble. The Donald Murray Prize, awarded by the Special Interest Group in Creative Nonfiction of the National Council of Teachers of English and including an honorarium of $500 sponsored by Thomson/Wadsworth Publishing, honors the best essay or work of creative nonfiction on the subjects of teaching and/or writing during the calendar year. The 2006 Murray Prize was given to Robert Root for "A Double Life," published in Writing on the Edge (16:2 Summer 2006: 69-81). The essay is about being a teacher who writes and a writer who teaches. The judges were Lynn Bloom, Doug Hesse, and Rebecca Faery. The essay "Perspective" appears online in The Ekphrastic Review for January 16, 2019. Book talks about Walking Home Ground are scheduled for the Barrett Memorial Library in Williams Bay, Wisconsin, on January 19 and the Waukesha Sunrise Rotary on March 5. The talk about Walking Home Ground at the Wisconsin Historical Museum in May 2018 is online in Wisconsin Public Television's University Place series. A haibun in the October 2018 issue of Contemporary Haibun Online. From Friday, August 31, through Friday, September 28, The Humble Essayist (THE), Steve Harvey's website, featured excerpts from Walking Home Ground. "One Reader's Homage to Two Dogeared Authors"
My review of The Art of the Wasted Day by Patricia Hampl and Draft #4 by John McPhee appears online at River Teeth. “Cave Crawling,” an audio essay, was broadcast on Wisconsin Life on Wisconsin Public Radio on June 13, 2018. Text and recording are available online. Jim Fleming read Walking Home Ground on Wisconsin Public Radio's "A Chapter A Day" program from Monday May 28 through Friday June 15 and archived each episode of the show for one week after the broadcast. A brief essay appearing in The Sage of Sac Prairie: The August Derleth Society Newsletter, 38:3 (Winter 2017): 6-7. "Hiking Wisconsin with 'Ghosts' of the Ice Age"
An essay on Isle Royale in Isle Royale from the AIR: Poems, Stories, and Songs from 25 Years of Artists-in-Residence, edited by Phillip Sterling and published by Caffeinated Press. An essay on time and change in a hometown scene at Ascent. "Seul Choix Point: Of Shells and Strata, Time and Terrain"
An essay for the Narrative Maps Project of the Great Lakes Review. Dictionary of Midwestern Literature. Volume Two: Dimensions of the Midwestern Literary Imagination. Bloomington: Indiana University Press, 2016: 179-184. "Synchronicity in Nature and Life"
Bob Root (Robert L. Root Jr.) believes he has been a writer since he was around eight years old, when he came home with a friend from a showing of Superman and the Mole Men, pried open the lock on his mother’s typewriter, and created a series of very short adventures about Tiger Boy. Since then, his life and career have centered on his writing, his study of the way other writers compose, and his teaching of writers and writing teachers. His bachelor’s degree from State University College, Geneseo, New York, was in English education and theater and his graduate degrees from the University of Iowa were in English literature, but he also did post-graduate work in composition and rhetoric before beginning twenty-eight years of teaching at Central Michigan University. There he taught courses in composition and rhetoric, nonfiction, editing, English education, literature, and media. He retired from full time teaching in 2004 to devote more time to writing creative nonfiction and to writing about it. A frequent presenter on creative nonfiction and composition at national, international, and regional conferences, his scholarship and teaching led to many articles and books. They include: a book for writers, Wordsmithery, which went through two editions; a book for teachers of writing (co-edited with Michael Steinberg), Those Who Do Can: Teachers Writing, Writers Teaching; and an anthology of creative nonfiction (also co-edited with Michael Steinberg) The Fourth Genre: Contemporary Writers of/on Creative Nonfiction, now in its sixth edition. His essay “Collage, Montage, Mosaic, Vignette, Episode, Segment,” originally published in The Fourth Genre, has been used often in creative writing courses across the country. He has also published three books examining how nonfiction writers do what they do, Working at Writing: Columnists and Critics Composing, E. B. White: The Emergence of an Essayist, and The Nonfictionist's Guide: On Reading & Writing Creative Nonfiction. 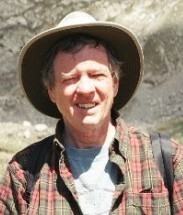 His creative nonfiction includes essays of place published in literary journals such as North Dakota Quarterly, Colorado Review, Rivendell, Ecotone, The Concord Saunterer, and divide; “Knowing Where You’ve Been,” in Ascent, was named a Notable Essay in The Best American Essays 2004; "Postscript to a Postscript to 'The Ring of Time'" in The Pinch was a Notable Essay in 2010 as well as a Pushcart Nominee, and "Time and Tide" in Ascent was a Notable Essay in 2011. As an essayist he has been an Artist-in-Residence at Acadia National Park, Rocky Mountain National Park, and Isle Royale National Park; his anthology co-edited with Jill Burkland, The Island Within Us: Isle Royale Artists-in-Residence 1991-1998, won the 2001 Excellence in Media Award from the National Parks Service. 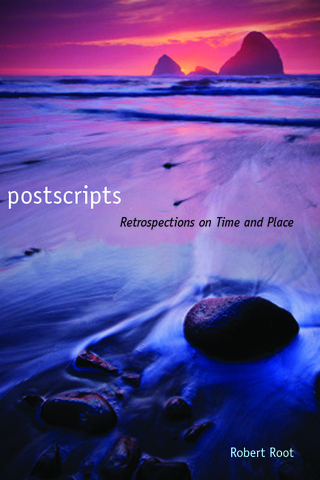 He edited and contributed to Landscapes with Figures: The Nonfiction of Place, an anthology of essays and writers’ commentaries on their composing published in 2007. His first full-length work of creative nonfiction, Recovering Ruth: A Biographer’s Tale, was named a Michigan Notable Book in 2004 by the Library of Michigan. His second book-length work of creative nonfiction, Following Isabella , chronicles his attempt to learn how to live in Colorado by tracing the trail of nineteenth-century travel writer Isabella Bird around the Front Range. He has also published a collection of his essays, Postscripts: Retrospections on Time and Place, a collection of his essays for radio, Limited Sight Distance: Essay for Airwaves, and an edition of columns by his grandmother, Betsy Root, titled How to Develop Your Personality. 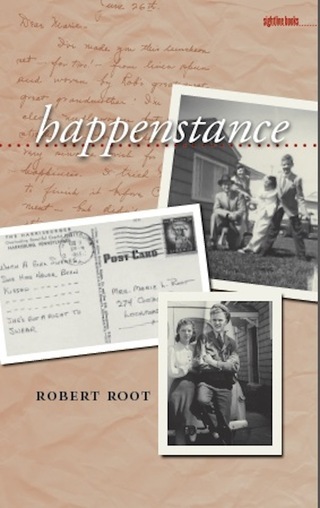 He is the author of a family memoir, Happenstance. 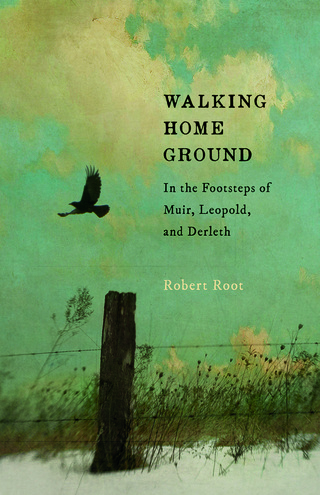 His twentieth book, Walking Home Ground: In the Footsteps of Muir, Leopold, and Derleth, a book of place set in Wisconsin, was published in Fall 2017. From 1999 through 2013 Bob Root was a contributing editor for Fourth Genre: Explorations in Nonfiction, one of the first literary journals devoted exclusively to literary nonfiction. He continues to talk about creative nonfiction at creative writing and English education conferences and has been a visiting writer and speaker in writing programs at colleges and universities around the country. In addition to essays and haibun, he is presently at work on The Arc of the Escarpment, a travel narrative tracking the Niagara Escarpment across Wisconsin, Michigan, Ontario, and New York, and Literary Remains: Essaying Myself and Others, a polyptych memoir.